Gum, or periodontal, diseases are infections of the structures around your teeth such as your gums and bone. 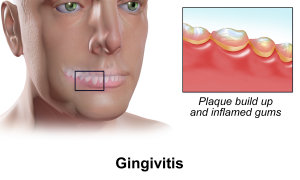 You might also hear it referred to as gingivitis, which is the earliest stage of periodontal disease. In more severe forms of the disease, an infection can invade deeper into the tissue and destroy the bone surrounding teeth . Dr. Krone and Dr. Peroutka will evaluate your gums for any signs of periodontal disease. If you are showing signs of the disease, they will develop a treatment plan and provide instructions on how to maintain healthy gums. Most cases can be treated by our dentists but in more severe cases they treat it along with a specialist. Learn more about this treatment and post-treatment care.